Allen Erasmus ‘Naka’ Drotské was born in March 1971 in Senekal, South Africa. 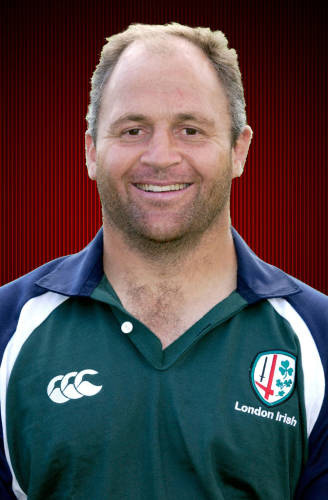 After playing for the Free State Cheetahs and the Blue Bulls in South Africa, Naka joined London Irish in 2001. He remained with the Exiles until 2004, making 58 appearances, including the victorious 2002 Powergen Cup final team. After leaving London Irish, Naka returned to the Free State Cheetahs for the remainder of his playing career and between 2007 and 2015 Naka coached the Free State Cheetahs in the Currie Cup and the Cheetahs in Super Rugby. He retired from coaching in May 2015.